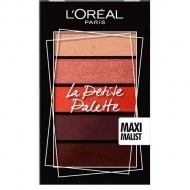 DESCRIPTION: Magic Mani from L'Oréal Paris is a pen that corrects all nail flaws. Covers any fault in 30 seconds. Leaves with varnish remover and lasts up to 70 applications. Apply the pen to the fingernail faults.